Sheriff Slape would like to warn people about scam phone calls that have been going around the county. If someone calls you and asks for you to send them money for you to receive your prize, it is more than likely a scam. Never send money to receive a prize. If you are told you have won a car and they say you have to send them money for taxes, that is a scam. You pay taxes at the revenue office when you license the vehicle. Never give out your account information to receive money. Do not give out personal information, such as social security number, date of birth, etc.., to receive a prize. These individuals will use names of contests that sound familiar also. Such as saying they are with Publishers Clearing Company, which sounds like Publishers Clearing House. You can call the Attorney Generals Office at 1(800) 482-8982 to complain. 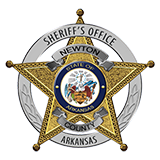 Or you can call the Sheriffs Office at (870) 446-5124.